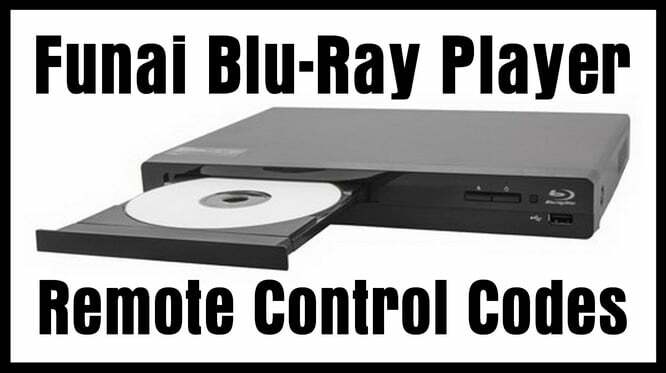 Searching for remote codes for your Funai Blu-Ray Player? Here is the list with the KNOWN working device codes for Funai Blu-Ray DVD players. These should work with ANY remote as these remote codes are universal. These codes will work with ALL Funai Blu-Ray players WI-FI ready models and the Upscaling Blu-Ray Disc Players. If needed, here is the Funai Electronics Customer Support page. This page will assist you with troubleshooting and finding remote codes for your Funai DVD or Blu-Ray Disc Player. Need help with any model Funai Blu-Ray Player? Need other working remote codes? Need help programming your universal remote? Leave a comment below and we can assist you. I have a Funai blu-ray/DVD player model NB620FX4 and a universal remote is RCA rcrn04gr. Can you tell me the 5 digit code please? Please I need the universal remote set up code for Funai DVD. My device is combined DVD-VCR.